The open ring topology allows integration of different field devices from control level to sensor switches within a system. Unlike traditional ring systems Interbus uses one cable to route data back and forth to all devices. Each device will amplify the signal before sending it to the next station. The data is transmitted via a 3 pair screened cable. 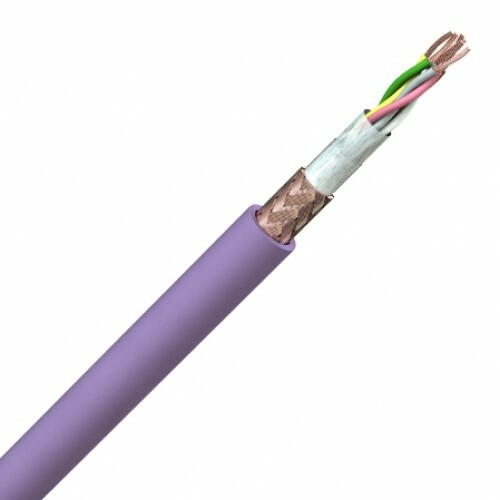 Plain copper conductors 0,22mm2, PE insulation, cores twisted into pairs, pairs bunched and polyester taped, copper wire braid, PVC sheath on static cables and a PUR sheath on dynamic cables. Data Cores: Plain copper conductors 0,22mm2, PE insulated & twisted into pairs. 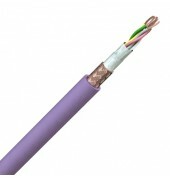 Power Cores: Plain copper conductors 1,0mm2 PE insulation. Cores and pairs bunched together, polyester tape, copper wire braid, PUR sheath.